A New Donation Truck for Bud’s! Bud's staff with our awesome new truck! If you follow Bud’s Warehouse on Facebook or Twitter you know the story of our broken truck and subsequent fundraiser. Through the generosity of many donors, we are so happy to introduce everyone to our new donation pickup truck, complete with red stakes! 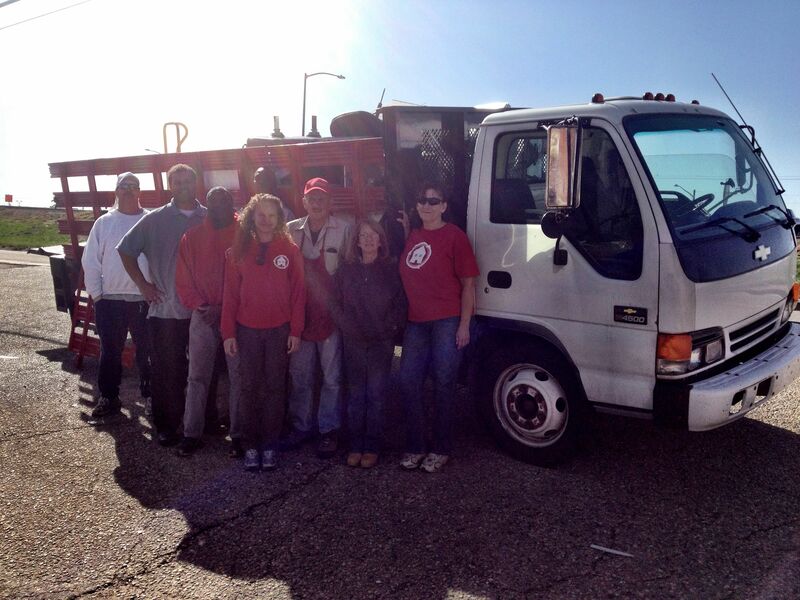 Everyday Bud’s Warehouse sends a truck around Denver to pick up new and used doors, windows, cabinets and more from local homeowners and businesses. Our truck is our connection to the community for the majority of product that comes into the warehouse. The items our truck picks up allow us to offer amazing deals on home improvement items to the community and help us succeed at our mission of employing and job training people who are rebuilding lives. Want us to send our truck to your home or business? Read more about items we can accept for donation here. To schedule a pickup with our great new truck give us a call at (303) 296-3990. Bud’s Warehouse is open Monday through Friday from 10 a.m. to 5 p.m and on Saturday from 9 a.m. to 5 p.m.
← Granite, Quartz and More Now at Bud’s!